AI technology digitally reintroduces past master. What would it be like if a master pianist who died two decades ago could play a concert with today’s leading players? Sound impossible? Well, a new technology developed by Yamaha has done just that. 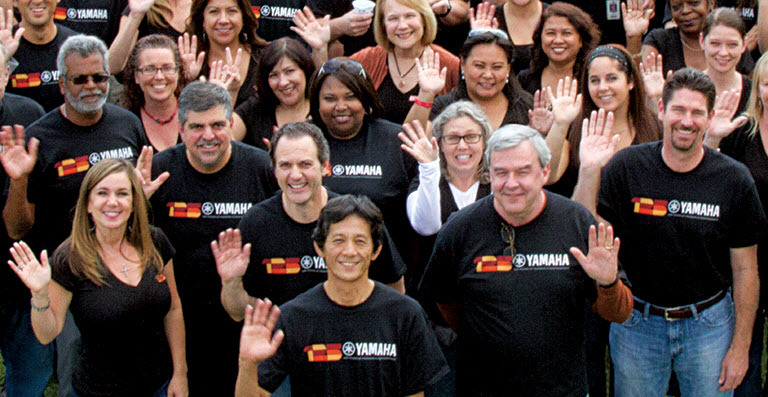 Yamaha AI Ensemble Technology understands a player’s intentions and responds in harmony with their performance. It works by analyzing a human player’s gestures and sound to anticipate their next notes and then instructs a Yamaha Disklavier™ piano to play accordingly – with a faithful reproduction of the touch of any pianist, living or dead. What’s more, while the Disklavier is playing, a shadow of an imaginary pianist is projected on the stage to give human accompanists a visual cue to synchronize their rhythm and tempo! Yes, you read that right. This advanced technology provides the experience of playing music with any legend from any time, understanding each other’s musicality and performing perfectly in sync. It goes beyond replicating the touch of a master pianist, allowing live musicians to actually play with his or her avatar. 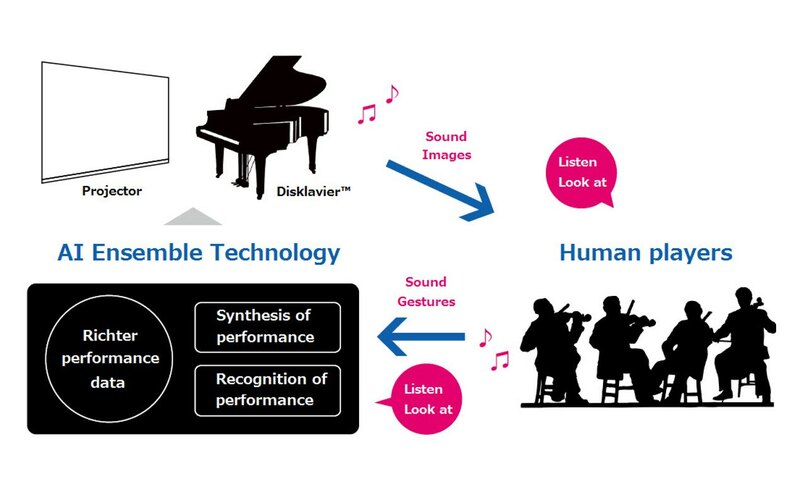 Ensemble members practiced together with the Disklavier right up to the day of the performance, treating the AI system just as if it were a person, with machine and players deepening their mutual understanding to steadily improve their joint performance expression. The concert was given on May 19, 2016 in the Sogakudo Concert Hall at the Tokyo University of the Arts, with a program that spanned the fourth and fifth movements of Franz Schubert’s Piano Quintet in A Major (D667, “Trout”). The polished performance delighted audience and Scharoun Ensemble members alike – and hopefully our AI system was pleased, too! Since 2015, Yamaha has participated as a member of the Tokyo University of the Arts Center of Innovation (COI). This collaboration was part of these activities and is aligned with our firm commitment to the music and instruments of tomorrow.